The potential for strengthening ties between Quebec and Ireland is great and I was encouraged to take advantage of this during my time in Canada as a Visiting Professor. Concordia is one of Canada’s leading universities and Montréal is also home to McGill university which like UCD, is a member of Universitas-21. While in Montréal, my focus was the history of Quebec between 1791 when Lower Canada (as it was then called) became a separate province and the 1840s when it was part of a wider union with Upper Canada (Ontario). 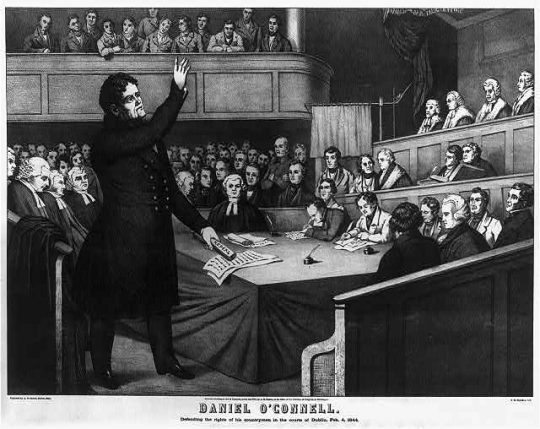 At a time when Ireland was also part of the wider United Kingdom – and under O’Connell – was trying to disengage from it, Quebec and Ireland had many interests in common. The fact that they were also predominantly Catholic societies also attracted them to one another as well as the fact that from the 1820s, Quebec City became as much an attraction for Irish emigrants as any city in the United States. I have always found the interplay between these connections fascinating not least because they were also taking place at a time when Britain was reassessing its role in the world as a growing global power. Montréal was an obvious place to be to continue my research on this broad topic. While there, I was glad to have the opportunity to present a public lecture at Concordia which attracted not only members of the academic community but members of wider Irish societies. I found their perspectives on my research challenging and interesting, as I did later when I visited Quebec City where there was also a thriving Irish community during the first half of the nineteenth century. 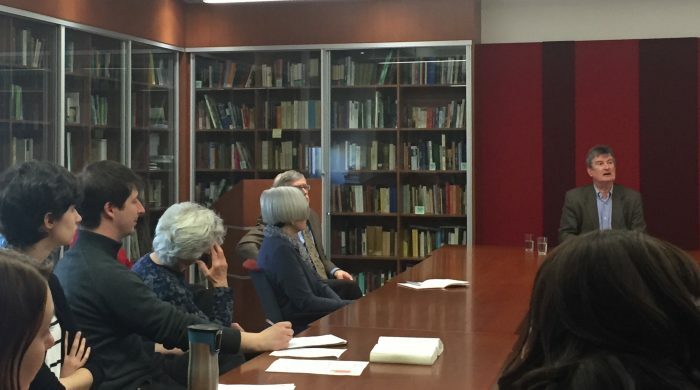 I was also very pleased to meet with the Institute for Canadian History in McGill. Here again, I was greatly encouraged in my researches and as with my friends in Concordia, I hope that in the future, I can help to develop greater connections between our two countries in the area of higher education. I found the James M. Flaherty Professorship of enormous help not least because it gave me that final push to what I hope will be a completed manuscript before the end of the year.